Scott A. Forman | Littler Mendelson P.C. A true innovator, Scott A. Forman provides strategic direction to Littler’s ongoing efforts to develop technology platforms that re-engineer the delivery of legal services and enhance collaboration. He leads a team of over 100 lawyers, researchers, technologists, and operational specialists working within the award-winning Littler CaseSmart® model. Littler CaseSmart is an integrated approach to legal case management that uses groundbreaking technology, redesigned legal processes and cost effective staffing to deliver high-quality, predicable and efficient legal services. Scott founded the platform in 2010 to manage administrative agency charges. Since then, he has expanded Littler CaseSmart offerings to include single plaintiff litigation and class action defense. In addition to his leadership of Littler CaseSmart, he is one of Littler’s most successful rainmakers and regularly manages case teams with more than 200 lawyers. In developing Littler CaseSmart, Scott drew on his vast experience representing companies in single-plaintiff, multi-plaintiff and class action employment litigation and his observations of the rapidly changing legal landscape. A critical component of Littler CaseSmart is the FlexTime Attorney (FTA) staffing model that focuses on assigning experienced attorneys to specific tasks within the legal process to help clients effectively budget, manage and reduce their defense costs. The platform also provides clients with a transparent, interactive dashboard that houses all information on a client’s legal matters, allowing them to monitor the progress of a single case in real time or an entire portfolio of litigation producing data-driven privileged analytics. Having streamlined agency charges and employment litigation matters through Littler CaseSmart, Scott recently developed Virtual Binder to enhance collaboration among attorneys working within the platform. This technology uses automated workflow to track and manage the entire life cycle of a litigated case while informing attorneys exactly what tasks need to be completed, by whom and when. Virtual Binder also provides Key Performance Indicators and enables attorneys to transfer knowledge without the need for meetings, phone conference and constant email communication. Scott has represented clients in arbitrations and appellate matters and has several published decisions that provide employer-favorable case law. He regularly conducts seminars on employment law matters and has been an invited guest speaker to various functions. 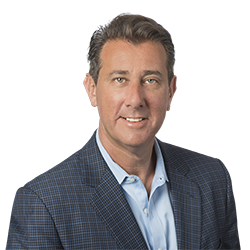 Scott is a member of Littler’s Board of Directors and is co-chair of the firm’s Innovation Council. His contributions to the firm’s innovation have led to numerous recognitions. Most recently, Littler CaseSmart – Litigation™ earned a distinction for innovation in the Financial Times’ 2014 “North America Innovative Lawyers” report. Littler CaseSmart has also received the College of Law Practice Management’s InnovAction Award in 2012 and was named a winner of the Distinguished Peer Award as Project of the Year in 2011 by the International Legal Technology Association. Scott is also a regular commentator in the media on issues related to legal technology and innovation and served as a panelist at the Revolution to Evolution: Digital Tools in Legal Practice event, hosted by the ABA Journal and Georgetown Law in April 2015. He is a founding member of Littler’s Miami office and its former office managing shareholder. He is also a former co-chair of the firm’s Retail Practice Group.